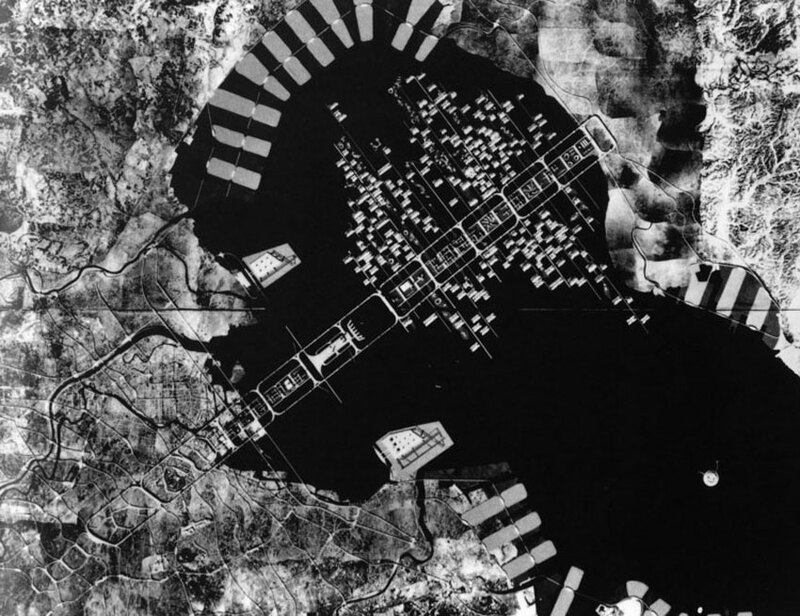 Kenzo Tange ‘ 1960 plan for Tokyo was proposed at a time when many cities in the industrial world were experiencing the height of urban sprawl. With a unique insight into the emerging characteristics of the contemporary city and an optimistic faith in the power of design, Tange attempted to impose a newphysical order on Tokyo, which would accommodate the city’s continued expansion and internal regeneration. I feel however, that we architects have a special duty and mission… (to contribute) to the socio-cultural development of architecture and urban planning. 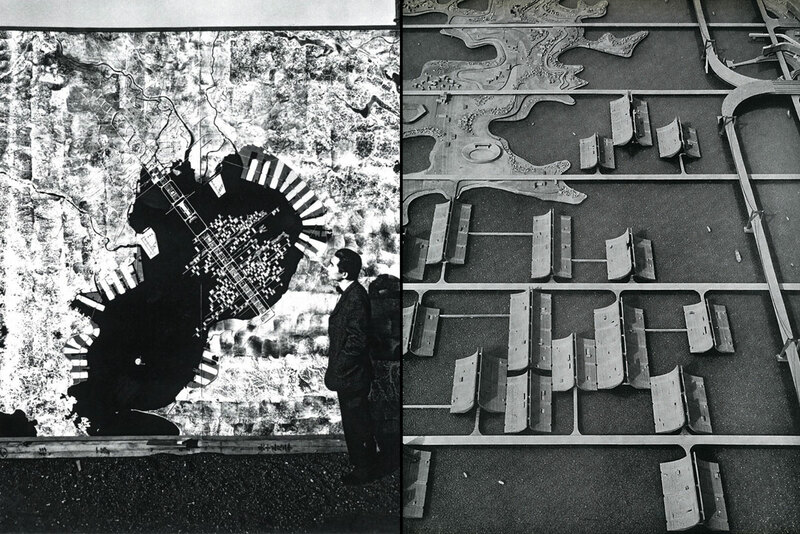 Kenzo Tange ‘ 1960 plan for Tokyo was proposed at a time when many cities in the industrial world were experiencing the height of urban sprawl. With a unique insight into the emerging characteristics of the contemporary city and an optimistic faith in the power of design, Tange attempted to impose a newphysical order on Tokyo, which would accommodate the city’s continued expansion and internal regeneration. The scheme, featuring a linear series of interlocking loops expanding Tokyo across the bay, has. often been regarded as initiating the decade-long megastructural movement. Its theoretical contribution to contemporary urbanism, however, remains understudied. 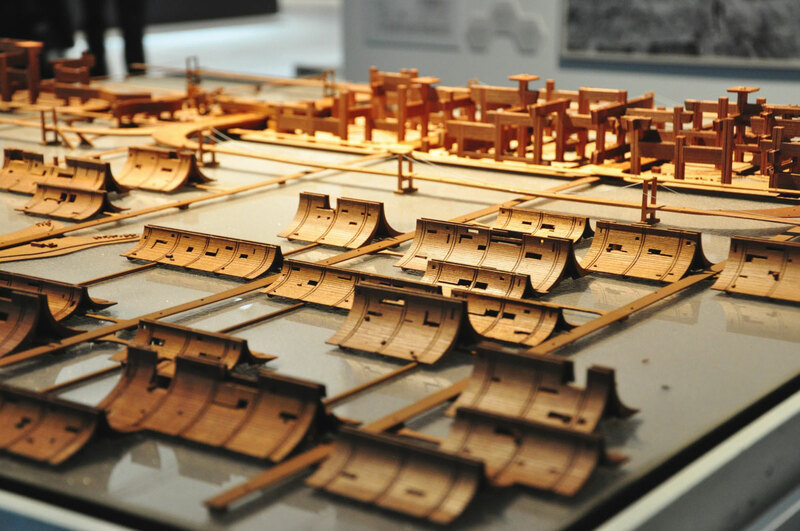 The ideals of the Metabolist Manifesto were perhaps best exhibited and advocated by Kenzo Tange in his 1960 Plan for Tokyo. In 1958 the Tokyo Regional Plan was released which proposed a series of satellite cities and general decentralization as the solution to Tokyo’s rapid population boom (rising from 3.5 million in 1945 to 10 million in 1960). Tange argued that the movement that the automobile introduced into urban life had changed peoples’ perception of space, and that this required a new spatial order for the city in the form of the megastructure, not simply a continuation of the radial zoning status quo. He proposed a linear megastructure based on a ‘fixed’ open network of highways and subways around which a ‘transient’ program would acrete as the needs of the population dictated. Tange incorporated urban concepts such as mobility, urban structure, linear civic axis, and city as process into a powerful architectural language and tried to elevate them to a new notion of the relationship between the whole and the part, and between the permanent and the transient. However, Tange’s approached to these concepts was symbolic rather than practical, an orientation also manifest in his later works. His vision for establishing a new spatial order for the continuously expanding and transforming metropolis was ultimately a utopian ideal. In the past, people walked along streets until they came to their destination and then simply disappeared into the door. With automobiles on the street, however, everything is different. In the first place, it is necessary to divide pedestrians from vehicles, to create highways and streets that are for the exclusive use of vehicles. Thanks to the coming of the automiobile, there is needfor a new order in which a vehicle can move from afast highway to a slower one and then come to a stop at the destination. 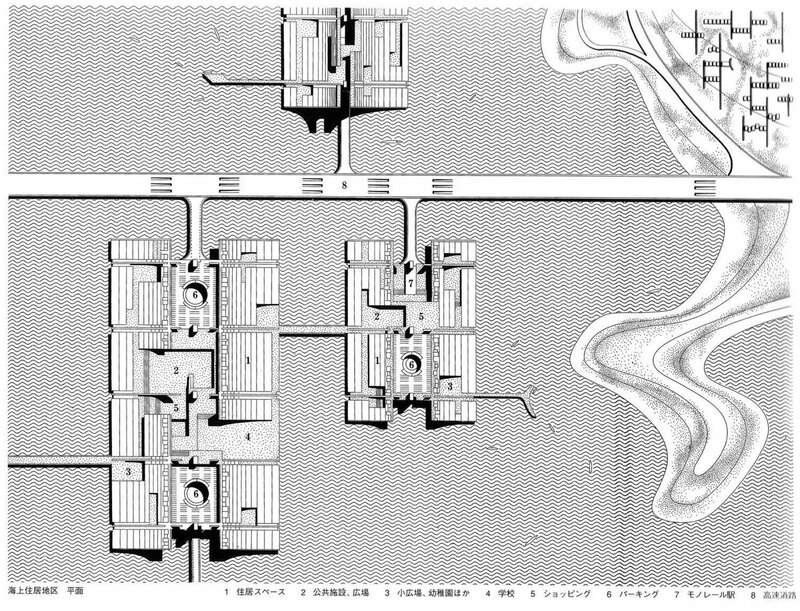 Cite this article: "A plan for Tokyo 1960 / Kenzo Tange," in ArchEyes, January 26, 2016, http://archeyes.com/plan-tokyo-1960-kenzo-tange/. Pingback: Terreform ONE » Story of cities #future: what will our growing megacities really look like?